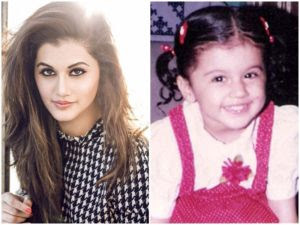 Taapsee Pannu ,born 1 August 1987, into a Jat Sikh family, is an actress and model, who works in the South and Bollywood films. She has done her schooling from the well known Mata Jai Kaur Public School in Delhi. Following this, she graduated in the field of computer science from the prestigious Guru TeghBahadur Institute of Technology, New Delhi. Taapsee worked as a software professional and also pursued a career in modelling before becoming an actress. Taapsee was a participant in Miss India 2008 pageant and won the Pantaloons Femina Miss Fresh Face titles & Femina Miss Beautiful Skin titles. She had inhibitions about coming down south for acting as I did not speak the language but she took up the challenge, she now speaks Telugu fluently. She learned Kathak dance for 8year’s from Birju Maharaj’s disciple. Her breakthrough can with channel V’s Get Gorgeous pageant.